President Rodrigo Duterte looks to support Micro, Small, and Medium Enterprises (MSME), as well as investments in social protection and human development, among other initiatives. This was revealed during the 17th General Membership Meeting (GMM) of the Israel Chamber of Commerce of the Philippines (ICCP) last April 27. 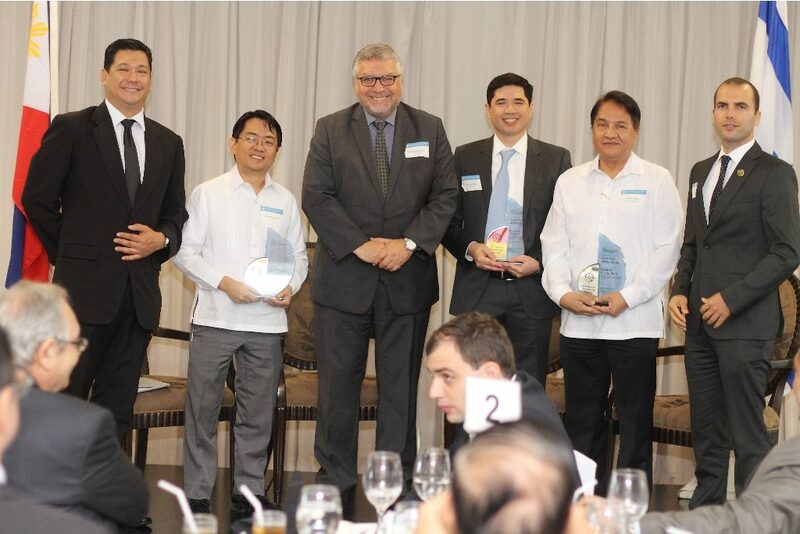 The ICCP welcomed members and guests to its GMM, themed “Doing Business in the Philippines,” where officials and business executives from the Philippines and Israel congregated to exchange valuable insights about the current trends and issues in both nations. A year into President Duterte’s presidency, attendees discussed the administration’s business atmosphere and opportunities as well as possible roadblocks for each sector. Three speakers, all veterans in their field, shared their insights. They are Dr. Cielito Habito, USAID Trade-Related Assistance for Development (TRADE) Project Deloitte Consulting LLP Chief of Party; Reynaldo R. Cancio, National Economic and Development Authority (NEDA) Director of National Policy and Planning Staff; and Dante Tinga, Jr., BDO Unibank Senior Vice President and Head of Research. The speakers’ presentations shed light on the current state of “Dutertenomics” – the administration’s economic and development blueprint, spanning primary governance and fiscal policies, social services, and infrastructure programs. Where PiTiK — Presyo (Prices), Trabaho (Jobs), Kita (Profit) — is concerned, 2016 has been a relatively good year. The Philippines was on a roll, with an inflation rate of 1.8%: a historical low. By the end of the year, unemployment rates have gone down to less than 5%, and the GDP increased 6.8%, the fastest in ASEAN and East Asia. This year, however, the administration is set to drive away some dark clouds, as the latest PiTiK indicators recorded an inflation rate of 3.4%, the highest in 28 months. The unemployment rate increased to 6.6% again after a three-year decline, and while the GDP growth is still fast at 6.6%, it’s deliberately slowing down. Dutertenomics is in the right direction in addressing these concerns, according to speakers. The administration’s imperatives for sustained reform included easing investment restrictions and reducing regulatory burden. The president also looks to provide joint promotion and support for MSMEs, as well as investments in social protection and human development, among other initiatives. NEDA reported that the expected drivers of growth on the household level still include remittance inflows and better employment prospects. In the government level, meanwhile, the administration looks to expand its activities to complement public management and construction. Regarding investment, they aim to expedite the implementation of Public-Private Partnerships (PPPs) as well as the execution of public infrastructure projects. ICCP’s General Membership Meeting armed business executives with helpful insights on how they could align their investment strategies with the administration’s long-term goals and imperatives. Apart from the exchange of economic ideas, the gathering aimed to foster the blossoming relationship between the two countries further.